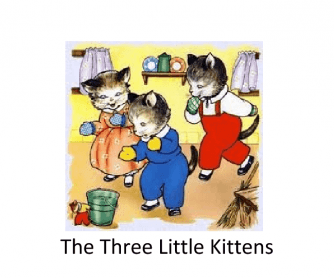 The classic Three Little Kittens nursery rhyme was a big success with my class of adult ESL learners. Using the Internet, I was able to create this PowerPoint, complete with the artwork that made the story charming in the 1950's. 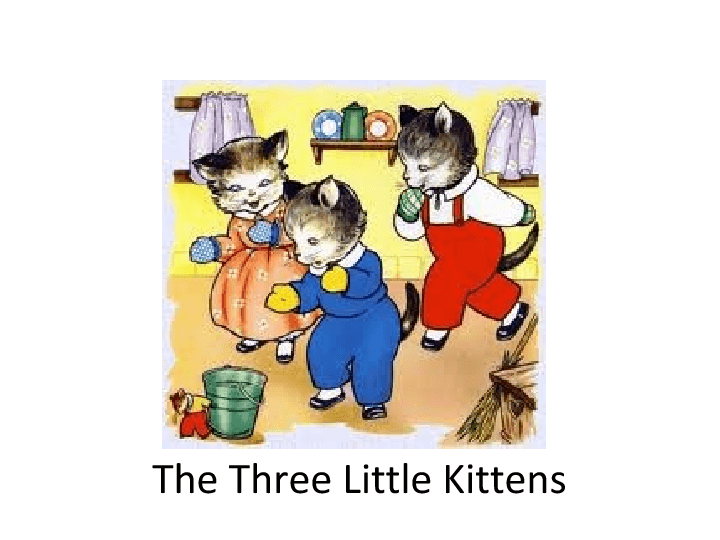 What made this lesson work was the repetition of sounds, and vocabulary that is actually at the first and second grade levels - perfect for beginning and low intermediate English language learners! I started by simply reading the poem plainly and again with more expression. A sea of blank faces! Then I began with the PowerPoint, introducing vocabulary, and watched their faces as they began to get what the poem is about. They loved it! I used a follow-up fill-in-the blank listening activity, which, after having gone over the poem and PowerPoint many times, they did well. I also worked on rhyming sounds to help with both listening and reading. Although my class is adults, I wouldn't be surprised if the PowerPoint would work well with children too. Hope you like it!